Tonight was Station to Station at the Saint Paul Union Depot, a three week roaming art and music festival, stopping at nine train stations from New York to San Francisco. The fact that Lowertown Saint Paul was included on the list was pretty cool. The fact that Patti Smith was headlining was awesome. While walking around the Depot checking out the art, I decided to quickly ask a security guard if I could move back and forth between the staging area and the art once they scanned my ticket. He told me I needed to get a wristband in the next line, and pointed out where I needed to go. I swung around – and nearly knocked into Patti Smith. (Scream – faint – OMG) Looking one of your heroes in the eye can send you to your knees. She smiled politely and I acted as cool as I could, excusing myself and moving on. Ms. Smith put on an awe-inspiring show, and the crowd was very much into her performance on day 255 of Photo 365. 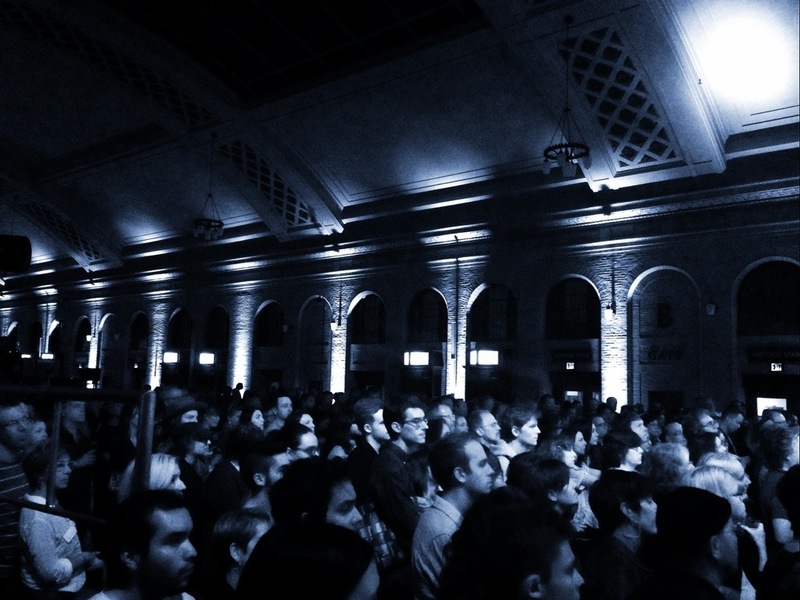 This entry was posted in Photography and tagged #Tracksts, Photo 365, Saint Paul, Station to Station. Bookmark the permalink.